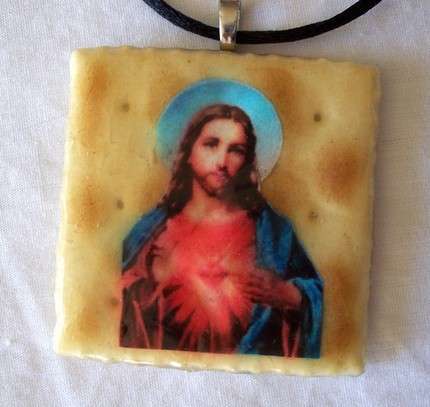 I’m sure you’ve seen many a pretty gold or silver cross pendant before, but here’s some Jesus jewelry I bet you haven’t seen. 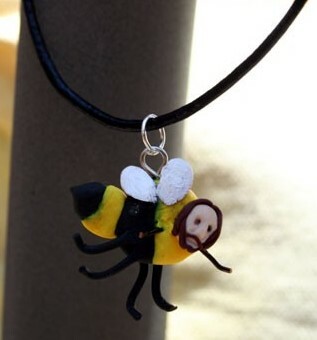 This entry was posted in Jesus Kitsch and tagged Jesus bee, Jesus cracker, Jesus necklace. Bookmark the permalink.